My Dare for National Dare Day | La Petite Noob | A Toronto-Based Fashion and Lifestyle Blog. Everyone has that one thing that they wish that they could do, if only they had the courage. For me it has to do with travel; you guys know that I absolutely love traveling and exploring destinations, but what you might not know is that I've never actually traveled on my own. Never! Sure I've flown alone, but always to meet up with friends or Brian and continue the trip together. It's always been a goal of mine to take an entire trip on my own, but I've always found excuses not to - that is, until now. I've been dared by Schick f.a.b. 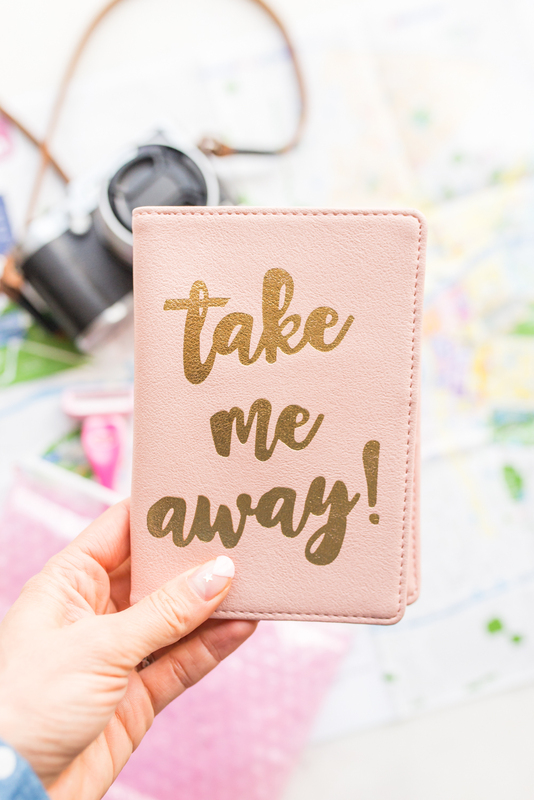 to do something exciting - and I couldn't think of anything more exciting and exhilarating than finally getting the courage to book and take a trip on my own. Much like getting out of my comfort zone with the Schick f.a.b. razor which shaves effortlessly in both directions, I’m excited to do the same with my upcoming travels! In the past whenever I've done something new and out of my comfort zone, it's been scary at the time but has always ended up being so fulfilling. I can think specifically of when I decided to make the move from Ottawa to Toronto in my twenties. I was so scared to leave my apartment, my friends and basically everything that I knew back in Ottawa in favour of a new life in Toronto. It was tough at first; I only had a small handful of friends, couldn't navigate my way around the city and had a hard time getting used to the fast pace of Toronto. Eventually things got easier, and I started to view Toronto as home rather than a city that I was a newcomer to. Looking back now, those hard months made me such a stronger person and taught me a lot about myself. I'm grateful that I took a chance, challenged myself and stepped out of my comfort zone; the results have been even better than I could have ever imagined. Knowing all of this, I'm so excited to get started and booking my solo-trip. It will be scary at first, but I just know that the memories that I end up creating will be 100% worth it in the end. What do you guys think? Have you ever challenged yourself to try something that's totally out of your comfort zone? What were the results? I would love to know! This post was created in partnership with Schick Canada. All thoughts and opinions are 100% my own. Where are you going!? I travelled on my own to Amsterdam, Spain, Portugal and Paris three years ago and it was such an amazing experience. Solo and accompanied travel each have their own merits and I love both, but I think travelling on your own is something everyone should try at least once in their life. I gained so much confidence in myself and had you also have the benefit of doing whatever you want and on your own schedule! Oh wow so cute! 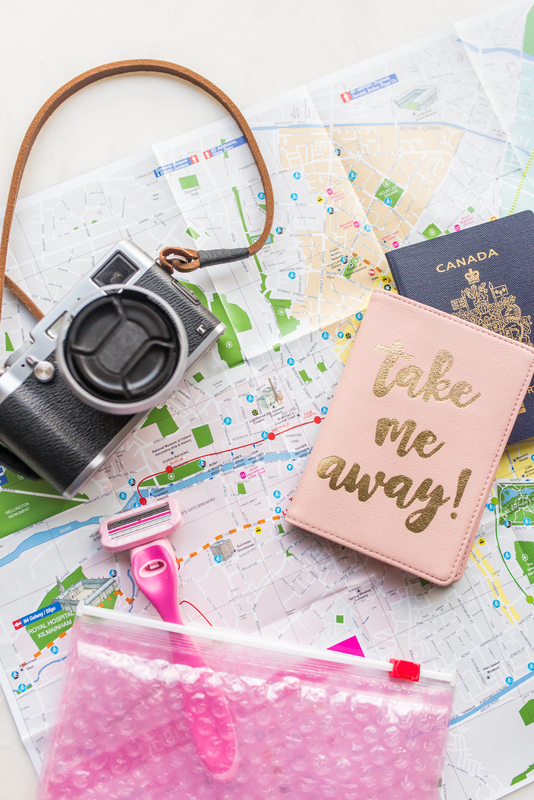 Love your little passport wallet. I just stumbled across your blog and I already love it!